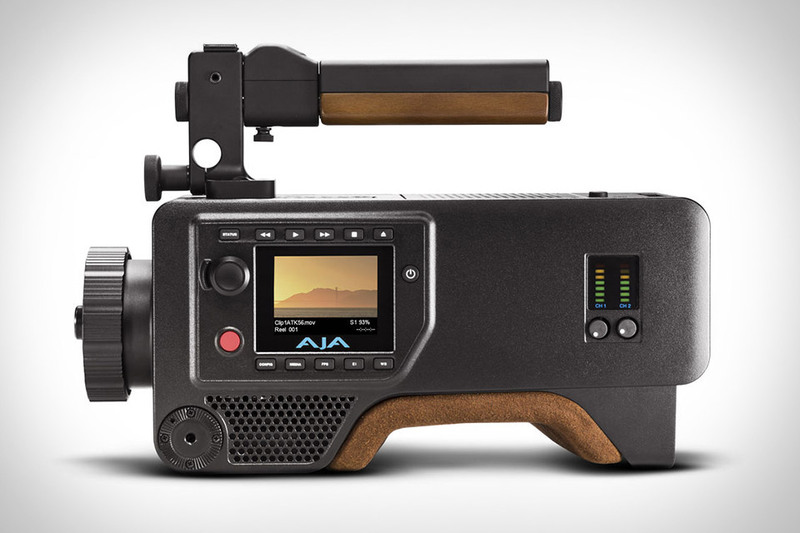 Just as capable in the studio as it is in the field, the AJA Cion Camera can handle nearly any shooting situation. At its heart is a 4K, APS-C CMOS sensor providing 12 stops of dynamic range and an electronic global shutter that ensures you won't have any rolling shutter issues during quick movements. It records directly to its own high-speed media cards in Apple ProRes 4444 & 422 formats, or can alternatively output AJA Raw footage to external media. With a PL mount for use with industry-standard lenses and a sensor that works great with glass meant for Super 35 setups, it bridges the gap from set to post with ease. Plenty of us have big, expensive standalone cameras — and folders full of unfulfilled potential to go along with them. Relonch Camera promises to shift this entire paradigm by making the camera a service instead of a large purchase. The camera itself is wrapped in a handsome leather case that covers everything but the lens, shutter button, and viewfinder, removing the need/temptation to fiddle with settings. 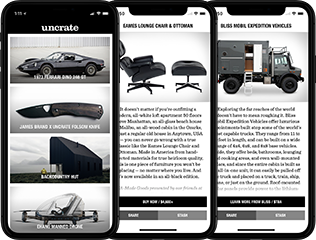 Your shots are uploaded via a built-in SIM card to their servers, where sophisticated algorithms pick your best shots, automatically adjust/develop them, and send them to the app for review. Pick your favorite photo from each day, and they'll send you a monthly photobook filled with your latest memories. All without the need to go to a camera shop or fire up a filter app. Phantom cameras — and their competition — are amazing tools. They're also amazingly expensive. The Chronos 1.4 High-Speed Camera offers high-speed slow-motion at a fraction of the cost. It's powered by a 1280x1024 CMOS image sensor with a 1.4Gpx/s throughput, capable of capturing motion at 1,057 fps at full-res and going as high as 21,649 fps at lower resolutions. It has a touchscreen interface augmented by a handy jog wheel, is compatible with C and CS mount lenses out of the box, uses standard Nikon EN-EL4A batteries, and is available in both color and monochrome-only models. Created to celebrate the 25th anniversary of the company's official shop in Vienna, the Leica Hammertone M-A Camera gives the venerable analog shooter a rugged new look. Both the camera body and the included Leica Meter MR-4 have been given a gray hammertone lacquered finish, while the included NOCTILUX-M 1:0.95/50mm ASPH lens has a silver finish inspired by the very first version of the Noctilux 1.2/50mm. Individually numbered and limited to just 25 examples. The Leica APO-Summicron-M 50 mm f/2 ASPH lens is widely regarded as one of the sharpest lenses in production. Now you can get one as colorful as the images it captures. This Leica Red Summicron 50mm Lens sports a bright anodized finish that will let it instantly stand out in a sea of black and silver gear. It comes in a gray cowhide case with matching lens cap, and is limited to just 100 examples worldwide.